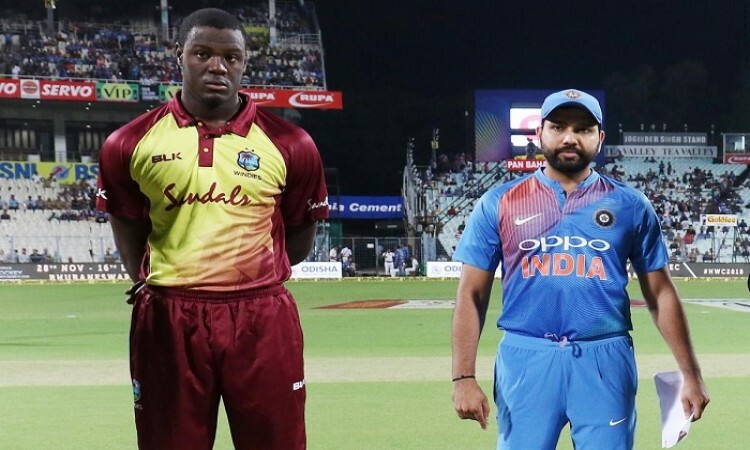 Lucknow, Nov 6 (CRICKETNMORE): West Indies skipper Carlos Brathwaite won the toss and opted to bowl in the second Twenty20 International (T20I) against India here on Tuesday. Both teams have made one change each to their playing XIs. The hosts have brought back Bhuvneshwar Kumar in place of fellow pacer Umesh Yadav. The West Indies have brought in wicketkeeper-batsman Nicolas Poooran in place of Rovman Powell. This is the first international cricket match to be held at the newly-renamed Bharat Ratna Shri Atal Bihari Vajpayee International Cricket Stadium.